Article 4 of Regulation (EC) No 852/2004 (1) on the hygiene of all foodstuffs requires food business operators (FBOs) to comply with the general hygiene requirements detailed in its Annexes I and II. They are supplemented by specific hygiene requirements on food of animal origin, provided for in Regulation (EC) No 853/2004 (2). Those requirements represent what are called prerequisite programs (PRPs, see definition in Appendix 1) in an international context (e.g. WHO, FAO, Codex, ISO). Article 5 of Regulation (EC) No 852/2004 requires FBOs to put in place, implement and maintain a permanent procedure based on Hazard Analysis and Critical Control Point principles (‘HACCP-based procedures’ or ‘HACCP’). HACCP principles are generally considered and internationally recognised to be a useful tool for food business operators in order to control hazards that may occur in food. Together with the principles laid down in Regulation (EC) No 178/2002 (3) (risk analysis approach, precautionary principle, transparency/communication, primary responsibility of FBOs and traceability), these two aforementioned Articles are the legal basis for the European Food Safety Management System (FSMS) to be complied with by FBOs. This guideline is a follow-up of the ‘Overview Report on the State of Implementation of HACCP in the EU and Areas for Improvement’ prepared by the Food and Veterinary Office (FVO) of the Commission's Health and Food Safety Directorate-General (4). In particular, it was considered opportune to extend the guidance document. Rather than focusing solely on HACCP-based procedures, this guidance document has a more integrated approach covering both PRPs and HACCP within a FSMS, including flexibility for certain businesses. The Commission has held a series of meetings with experts from the Member States in order to examine and reach consensus on these issues. On the flexibility provided for certain food establishments by EU legislation related to the implementation of PRPs and HACCP-based procedures (Annex III). Since this is a general document, it is mainly directed at competent authorities to promote a common understanding of legal requirements. It will also help food business operators to implement EU requirements after establishment of specific adaptations and without prejudice to their primary responsibility in matter of food safety. It may be supplemented by guidance at sectorial and national level to be directly applicable in specific establishments. Good Hygiene Practices (GHP, e.g. appropriate cleaning and disinfection, personal hygiene), Good Manufacturing Practices (GMP, e.g. correct dosage of ingredients, appropriate processing temperature), which together are called PRPs, (implementation of Article 4 and Annexes I or II of Regulation (EC) No 852/2004, and product specific provisions in Annex III of Regulation (EC) No 853/2004). General guidance is provided in Annex I of this document. HACCP-based procedures (implementation of Article 5 of Regulation (EC) No 852/2004). General guidance is provided in Annex II of this document. Other management policies and interactive communication in order to ensure traceability and efficient recall systems (Implementation of the procedures of Regulation (EC) No 178/2002). Guidance on these procedures is published in separate documents (6) and is not further addressed here. The link between the different elements of an FSMS (7) is illustrated in Figure 1. Prior to application of the HACCP-based procedures to any business, the food business operator (FBO) should have implemented the PRPs. Compliance with the procedures of Regulation (EC) No 178/2002 is also a basic requirement of an FSMS. These are the prevention and preparedness pillars of each FSMS and are needed to develop HACCP-based procedures. PRPs are not specific for a given hazard, but apply generally. There are differences in risk which should be taken into account when applying PRPs and are the basis to consider flexibility in the application of PRPs. One example is retail of pre-packaged food as opposed to retail including further handling of the food (e.g. butcher). Another example is the difference between a complex manufacturing/processing activity and a limited simple one such as storage/transport. Regarding HACCP, HACCP-based procedures should provide sufficient flexibility to be applicable in all circumstances (8). Annex III of this notice explores the extent of such flexibility and gives guidance on a simplified implementation of the FSMS for appropriate FBOs, taking into account their nature and size. Guides to good practice have already been developed or assessed by the competent authorities for many food sectors (9). These guides mostly focus on PRPs but sometimes combine PRPs (mainly GHP) with some or all principles from HACCP-based procedures. The use of guides to good practice may help FBOs to control hazards and demonstrate compliance. They can be applied by any food sector, and in particular where the handling of food is in accordance with procedures that are well known and that are often part of the usual vocational training. Such guides could also highlight the possible hazards linked to certain food (e.g. raw eggs and the possible presence of Salmonella therein), and the methods used to control food contamination (e.g. the purchase of raw eggs from a reliable source, and time/temperature combinations for processing). Competent authorities should consider the development of guides themselves, in particular in sectors where no stakeholders' organisations exist or for activities typically carried out by small or micro enterprises, which need some generic guidance to start from for their specific establishment. Several European stakeholders' organisations have developed EU guides for good hygiene practice. The list of these guides can be consulted at: http://ec.europa.eu/food/safety/biosafety/food_hygiene/guidance/index_en.htm. The Codex Alimentarius' standard CAC/RCP 1-1969 ‘General principles of food hygiene’ is the basic document to protect public health from hazards in food and to promote international trade of food through harmonised FSMS requirements at global level. An Annex on HACCP was added in 1993 (10). The international standard ISO 22000 (11) outlines food safety management systems for food businesses along the food chain with focus on enterprises processing or manufacturing food. In addition to this FSMS standard, ISO has produced a number of standards focusing in more detail on specific areas of an FSMS (e.g. prerequisites for food manufacturing (ISO 22002-1); traceability in the feed and food chain (ISO 22005)). The guidance provided in this document is in line with these international standards, which can be additionally used as source material on the implementation of an FSMS. Staff should be supervised and instructed and/or trained in food hygiene matters appropriate to their role, and those responsible for developing and maintaining the food safety management system should be suitably trained in the application of PRPs and HACCP principles. The FBO shall make sure that staff taking part in the relevant processes demonstrate sufficient skills and are aware of the hazards identified (if any) and of the critical points in the production, storage, transport and/or distribution process. They must also show awareness of the corrective measures, the preventive measures and monitoring and recording procedures applicable in the business, in accordance with Chapter XII of Annex II to Regulation (EC) No 852/2004. A distinction can be made between trainings on hygiene in general (all employees) and specific HACCP trainings. The employees who handle/manage critical control points (CCPs) should be trained in the procedures based on the HACCP principles appropriate to their tasks (for example, a waiter/waitress will need hygiene training, while a cook will need additional training in the procedures based on the HACCP principles). Possible refresher training and its frequency should be considered according to the needs of the establishment and demonstrated skills. The stakeholders' organisations of different food industry sectors should endeavour to prepare information on training for the FBOs. Training as referred to in Chapter XII of Annex II to Regulation (EC) No 852/2004 must be seen in a broad context. In such context, appropriate training does not necessarily involve participation in formal training courses. Skills and knowledge can also be achieved through access to technical information and advice from professional organisations or from the competent authorities, suitable on-the-job training, guides to good practice etc. PRP and HACCP training of staff in food businesses should be proportionate to the size and the nature of the business. The competent authority may, when needed, assist in developing training activities as mentioned in previous paragraphs, especially in those sectors which are poorly organised or are shown to be insufficiently informed. Such assistance is comprehensively elaborated in the ‘FAO/WHO guidance to governments on the application of HACCP in small and/or less-developed food businesses (12)’. (1) Regulation (EC) No 852/2004 of the European Parliament and of the Council of 29 April 2004 on the hygiene of foodstuffs (OJ L 139, 30.4.2004, p. 1). (2) Regulation (EC) No 853/2004 of the European Parliament and of the Council of 29 April 2004 laying down specific rules for food of animal origin (OJ L 139, 30.4.2004, p. 55). (5) Preparedness refers to measures in place such as traceability provisions, communication tools, recall system, etc. allowing the FBO to directly and efficiently take the necessary measures to protect and inform the consumer in case of non-compliance. (7) The FSMS can be part of a broader quality management system (such as ISO 9000) which also includes quality aspects of food (composition, nutritional values, etc.). Quality aspects are outside the scope of this guidance. (8) Recital 15 of Regulation (EC) No 852/2004. (10) A revision of CAC/RCP 1-1969 is currently being considered. (11) Some differences in terminology may exist e.g. EU rules only refer to ‘corrective actions’, which includes both ISO 22000 wording ‘corrective actions’ and ‘corrections’. Each FBO should implement prerequisite programs as part of the FSMS. They include good hygiene practices (GHP) and good manufacturing practices (GMP) among other good practices. Food hygiene and safety is the result of the implementation by food businesses of prerequisite programs (PRPs) and procedures based on the HACCP principles. The PRPs provide the foundation for effective HACCP implementation and should be in place before any HACCP-based procedures are established. The general hygiene requirements laid down in Annex I of Regulation (EC) No 852/2004 for primary production and associated operations. Guidance on what is covered by ‘primary production and associated activities’ can be found in the Guidance document on the implementation of certain provisions of Regulation (EC) No 852/2004 on the hygiene of foodstuffs (1). The general hygiene requirements laid down in Annex II of Regulation (EC) No 852/2004 for activities after primary production further on in the production chain. The specific hygiene requirements for food of animal origin laid down in Annex III of Regulation (EC) No 853/2004. Some of these requirements are directed to primary producers (e.g. for eggs, raw milk, live bivalve molluscs, fishery products): see Section 3.7 of the Guidance document on the implementation of certain provisions of Regulation (EC) No 853/2004 on the hygiene of food of animal origin (2). Since these PRPs are sector/food specific, they are not further addressed in this (general) guidance document. PRPs must always be in place in any food business, including at primary production. They involve the conditions and measures necessary to ensure the safety and sustainability of food at all stages of the food chain (3). An extensive list of sector specific guides to good hygiene practice has been developed (See Section 5 of main document). The FBO should describe the applied PRPs, proportionate to the size and nature of the establishment, including a list of responsible person(s). The PRPs listed below provide a non-exhaustive list, while each establishment must comply with the legal requirements in Section 1 of this Annex. The PRPs below are therefore possible examples how to comply with the legal requirements in practice. The examples tend to focus on food manufacturing/processing establishments. They also provide a possible source of inspiration for other stages such as primary production, catering and other retail activities, including food distribution, but may not be applicable in every case. When assessing the risk from the location and surrounding areas, the proximity of potential sources of contamination, water supply, wastewater removal, power supply, access for transport, climate, possible flooding, … should be taken into account. This should also be considered for primary production (fields). Lay-out should strictly separate between contaminated (low care) and clean areas (high care) (or separation in time and suitable cleaning in between); suitable arrangements of rooms should be made for one-direction production flow and cooled rooms or heating facilities should be insulated. Floors should be constructed with waterproof, non-absorbent, washable, non-slippery material without fissures and walls likewise at least up to appropriate height. Doors should have smooth and non-absorbent surfaces. Automatic opening and closing should be considered to avoid contamination by touching. There should be sufficient lighting in all areas, with special attention paid to provision of suitable lighting to food preparation and inspection areas. Lighting should be easy to clean, with protective covers to prevent contamination of food in the event of lights breaking. Clearly defined storage facilities should be available for raw material, receptacles for food and packaging materials. Only products that may be added to food (e.g. additives) should be stored in the same area, excluding common storage with toxic products (e.g. pesticides). The specific clothes changing room(s) should be clean and ordered, not used as a refectory or a smoking room, and should facilitate a separation between normal clothing, clean work clothing and used work clothing. Toilets should not open directly to food handling areas. Preferably water flushing with use of foot/arm pedals should be present and reminders to wash hands strategically placed. Hand washing facilities should be positioned conveniently between toilets/changing rooms and the food handling area; disinfectants/soap and towels for single use should be available; installations blowing warm air should only be present in rooms without food and non-hand-operable taps are desirable. Equipment and monitoring/recording devices (e.g. thermometers) should be clean and the equipment suitable for contact with food products. Prevention of contamination by raw materials: separate equipment (or cleaning and disinfection between use) for raw products and cooked products (chopping boards, knives, dishes, …). There should be an appropriate number of monitoring devices for critical parameters e.g. temperature. What, when and how should be considered. Typical steps should be removal of visible dirt → cleaning → rinsing → disinfection → rinsing. Materials and approach for cleaning equipment should be different between low and highly contaminated areas. Hot water should be used as much as possible for cleaning. Technical information should be available regarding detergents, disinfection agents (e.g. active component, contact time, concentration). Visual checks on cleaning and sampling for analysis (e.g. hygienogram) should be used to control disinfection activities. External walls should be free of cracks or chinks, surroundings neat and clean and areas for cleaning accessible. Insect screen should be placed at windows. Doors should be kept closed except when loading and or unloading. Unused equipment and rooms should be clean. The presence of an indoor pool of water should be immediately addressed. Calibration of monitoring devices (e.g. weighing scales, thermometers, flow meters) is of importance in controlling food safety and hygiene. The frequency of the control of physical hazards (glass, plastic, metal, …) should be determined using a risk-based analysis (how big is the likelihood of occurrence in an establishment in question?). Only cleaning products suitable for food contact surfaces should be used in food processing environments where there is some possibility of incidental food contact. Other cleaning products should be only used outside periods of production. Possible chemical hazards should only be dealt with by specialized, trained staff. Weighing scales for additives should be automatic. Strict measures to minimize cross-contamination should be applied with products potentially containing allergens separated from other products at the time of production, by the use of different production lines, receptables and storage facilities, by a specific work methodology, awareness of workers and compliance with hygiene rules before returning to work from breaks for eating. If such a preventive strategy cannot be efficiently implemented, the production process might have to be reviewed. Compliance with the requirements in Chapter VI of Annex II to Regulation (EC) No 852/2004 can be best achieved and illustrated by the FBO by implementing procedures for each type of waste (animal by-products, spoiled food, chemical waste, redundant/used packing material). When applicable, it should be recorded who is responsible for the removal, how it is collected, where it is stored and how it is removed from the establishment. Regular own microbiological and chemical analysis of water directly in contact with food (unless community potable water) should be carried out. Factors such as the source, intended use of the water, etc. will determine the frequency of analysis. As a general rule, only potable water may be used on food of animal origin. At least clean water or where applicable clean sea water should be used in other cases. Potable water is strongly recommended in washing of fruit and vegetables for direct consumption. Ventilation systems are kept clean, so that they do not become a source of contamination. For high risk/care areas requiring air control, the implementation of positive air pressure systems and appropriate air filtering systems should be considered. Personnel should be aware of hazards from gastro-intestinal infections, hepatitis and wounds with appropriate exclusion from food handling or suitable protection; relevant health problems should be reported to the manager. Special consideration should be given to temporary workers who might be less familiar with potential hazards. At least ready-to-eat food should preferably be handled with gloves suitable to come into contact with food and the gloves should be regularly renewed. Hands should be washed before putting on gloves and after glove removal. Hair covers (and beard snoods) should be considered and appropriate clothing with high degree of cleanliness, minimum of pockets, absence of jewellery and watches. Eating, drinking and/or smoking rooms should be separated and clean. First aid kits should be easily accessible and available for an immediate use. The number of visitors should be minimized. Visitors should wear appropriate protective clothing, provided by the FBO. Consideration should be given not only to the supply of raw materials themselves but also to the supply of additives, processing aids, packaging material and food contact material. A strict supply policy, containing agreement on specifications (e.g. microbiological) and hygiene assurance and/or requesting a certified quality management system can be taken into account in the extent of details on the PRPs and HACCP plan of the establishment itself. Apart from agreements with and possible auditing of the supplier, a number of issues might give a good indication on the reliability of the supplier such as homogeneity of delivered goods, compliance with agreed delivery period, accuracy of information added, sufficient shelf life or freshness, use of clean and suitably equipped transportation, hygiene awareness of the driver and other food handlers transporting the food, correct temperature during transport, long term satisfaction, etc. Most of these issues should be part of a reception control. It may be necessary to be aware of previous cargoes of a transport vehicle in order to implement adequate cleaning procedures to reduce the likelihood of cross contamination. Storage conditions at the establishment itself should take into account any instructions provided by the supplier, ‘first in, first out’ or ‘first expire, first out’ principles, accessibility for inspection from all sides (e.g. not placed directly on the ground, against walls, …). Temperature and humidity should be (automatically) recorded where relevant. Alarm devices should preferably be automatic. Temperature fluctuations should be minimized e.g. by using a separate room/freezer to freeze products from that used for storage of frozen products. Chilling/heating capacity should be adapted to the amounts involved. Temperatures in the product and during transport should also be monitored. HACCP-based procedures are mandatory for all food business operators except primary producers (1). This Annex II describes in a simple way how the HACCP principles can be applied. It is largely based on the principles set out in the Annex of the Codex Alimentarius document CAC/RCP 1-1969. HACCP-based procedures are considered to be a useful tool for food business operators to identify and control hazards that may occur in food and during food processing in their own establishment. In view of the wide range of food businesses to which Regulation (EC) No 852/2004 is addressed, and in view of the great diversity of food commodities and manufacturing procedures that are applied to food, it is appropriate to issue general guidance on the development and implementation of HACCP based procedures. Prior to application of the HACCP-based procedures to any business, the food business operator should have implemented the PRPs (See Annex I). The HACCP-based procedures should be science/risk-based and systematic, identifying specific hazards, and measures for control of those hazards, to ensure the safety of food. HACCP-based procedures are tools to identify and assess hazards and establish control systems that focus on prevention, as opposed to older systems that relied mainly on end product testing. All HACCP-based procedures are capable of accommodating changes, such as advances in equipment design, processing procedures or technological developments as they include a requirement to review the procedures to ensure that new hazards have not been introduced when such changes are made. Hazards may be grouped within a HACCP-based procedure if they are controlled in a similar way. In addition similar products can be grouped together if they are produced in the same way and share common hazards. As well as enhancing food safety, implementation of the HACCP-based procedures can provide other significant benefits, e.g. for inspection/auditing by regulatory authorities and promote international trade by increasing confidence in food safety. establishing documents and records commensurate with the nature and size of the food business to demonstrate the effective application of the measures outlined in principles 1 to 6. During hazard identification, evaluation, and subsequent operations in designing and applying the HACCP-based procedures, the FBO should give consideration to the likely end-use of the product (e.g. cooked or not), categories of vulnerable consumers and epidemiological evidence related to food safety. The intent of HACCP-based procedures is to focus on control at CCPs. They should be applied to each specific operation separately. The application of the HACCP-based procedures should be reviewed and necessary changes made when any modification is made in the product, process, or any step. It is important when applying the HACCP-based procedures to be flexible where appropriate, given the context of the application taking into account the nature and the size of the operation. This team, which involves all parts of the food business concerned with the product, should include the whole range of specific knowledge and expertise appropriate to the product under consideration, its production (manufacture, storage, and distribution), its consumption and the associated potential hazards and should also involve as much as possible the higher management levels. The team should get the full support of the management who should consider itself owner of the HACCP plan and overall FSMS. Where necessary, the team should be assisted by specialists who will help it to solve its difficulties as regards assessment and control of critical points. any other person with specialist knowledge of. microbiology, hygiene or food technology. One person may fulfil several or all of these roles, provided all relevant information is available to the team and is used to ensure that the system developed is reliable. Where expertise is not available in the establishment, advice should be obtained from other sources (consultancy, guides of good hygiene practices, etc. not excluding other companies of the same group (at sectorial or association level) where expertise is available). any microbiological or chemical criteria applicable. The HACCP team should also define the normal or expected use of the product by the customer and by the consumer target groups for which the product is intended. In specific cases, the suitability of the product for particular groups of consumers, such as institutional caterers, travellers, etc. and for vulnerable groups of the population may have to be considered. Whatever format is chosen, all steps involved in the process should be studied in sequence and presented in a detailed flow diagram. All processes (from receiving the raw materials to placing the end product on the market) including delays during or between steps, should be mentioned together with sufficient technical data that is relevant for food safety, such as temperature and the duration of heat treatment. segregation of clean and dirty areas (or high/low risk areas). After the flow diagram has been drawn up, the HACCP team should confirm it on site during operating hours. Any observed deviation must result in an amendment of the original flow diagram to make it accurate. A hazard is a biological, chemical or physical agent in, or condition of, food or feed with the potential to cause an adverse health effect (2). All major potential biological, chemical or physical hazards that may be reasonably expected to occur at each process step (including production, acquisition, storage, transport and handling of raw materials and ingredients and delays during manufacture) should be identified and listed. It may be useful to consult external source of information (e.g. the Rapid Alert System for Food and Feed). The HACCP team should next conduct a hazard analysis to identify which hazards are of such a nature that their elimination or reduction to acceptable levels is essential to the production of a safe food (end product). the contamination (or recontamination), of a biological (micro-organisms, parasites), chemical or physical nature, of raw materials, intermediate products or end products. The FBO should consider and describe what control measures, if any, can be applied for each hazard. Control measures are those actions and activities that can be used to prevent hazards, eliminate them or reduce their impact or likelihood of occurrence to acceptable levels. Many preventive control measures are part of PRPs and are intended to avoid contamination from the production environment (e.g. personnel, pest, water, maintenance which are listed as examples in Annex I). Other control measures aiming at reduction or elimination of hazards are more specifically linked to particular production process e.g. pasteurization, fermentation and may result in the establishment of CCPs or operational PRPs (oPRPs: see Section 5). More than one control measure may be required to control an identified hazard e.g. pasteurization controlled by time, temperature and flow rate of the fluid and more than one hazard may be controlled by one control measure e.g. pasteurization or controlled heat treatment may provide sufficient assurance of reduction of the level of several pathogenic micro-organisms such as Salmonella and Listeria. Control measures should be validated. Control measures should be supported by detailed procedures and specifications to ensure their effective implementation. The identification of a CCP requires a logical approach. Such an approach can be facilitated by the use of a decision tree or other methods, according to the knowledge and experience of the HACCP team. establish and implement a monitoring system at each CCP. Appendix 2 provides a method to carry out the hazard analysis by a semi-quantitative risk evaluation. Other examples of tools are the decision trees shown in Appendix 3A and B. The tools in Appendices 2 and 3 can be used separately or in combination, using the risk evaluation for identifying the most relevant hazards and for initial screening of required control measures and the decision tree for further refining of the control measures. Each process step identified in the flow diagram (see Section 3.4 of this Annex) should be considered in sequence. At each step, the decision tree and/or risk evaluation should be applied to each hazard that may be reasonably expected to occur or be introduced and each control measure identified. Application should be flexible, considering the whole manufacturing process in order to avoid, whenever possible, unnecessary CCPs. Training in the application of a method to identify CCPs is recommended. Washing and blanching processes can usually not be considered as CCPs because neither full elimination of the microbial hazards nor reduction to an acceptable level can be achieved or is aimed at. However, they will impact the microbial load of the processed products. More intensive cleaning and disinfection in high care areas, more strict personal hygiene in high care areas, for example in packaging areas of ready to eat food. More severe incoming check upon reception of raw materials if supplier is not guaranteeing the desired quality/safety level (e.g. mycotoxins in spices). For high level of risks, which are not controlled by PRPs or oPRPs, CCPs should be established. A comparison of PRPs, oPRPs and CCPs is provided in Appendix 4. Each control measure associated with a critical control point should give rise to the specification of critical limits. Critical limits correspond to the extreme values acceptable with regard to product safety. They separate acceptability from unacceptability. They are set for observable or measurable parameters which can demonstrate that the critical point is under control. They should be based on substantiated evidence that the chosen values will result in process control. Examples of such parameters include temperature, time, pH, moisture content, amount of additive, preservative or salt, sensory parameters such as visual appearance or texture, etc. In some cases, to reduce the likelihood of exceeding a critical limit due to process variations, it may be necessary to specify more stringent levels (i.e. target levels) to assure that critical limits are observed. Critical limits should be validated and should have clear, specific values. Critical limits may be derived from a variety of sources. When not taken from regulatory standards or from guides of good hygiene practices, the HACCP team should ascertain their validity relative to the control of identified hazards at CCPs. An essential part of HACCP-based procedures is a program of observations or measurements performed at each CCP to ensure compliance with specified critical limits. Observations or measurements must be able to detect loss of control at CCPs and provide information in time for corrective action to be taken. Where possible, process adjustments should be made when monitoring results indicate a trend towards loss of control at a CCP. The adjustments should be made before a deviation occurs (the critical limit is not met). Data derived from monitoring must be evaluated by a designated and experienced person with knowledge and authority to carry out corrective actions when indicated. Observations or measurements can be made continuously or intermittently. When observations or measurements are not continuous, it is necessary to establish a frequency of observations or measurements which provides information in time for corrective actions to be taken. how monitoring and checking is performed. Records associated with monitoring CCPs must be signed by the person(s) doing the monitoring and when records are verified by staff of the company responsible for reviewing. For each CCP, corrective actions should be planned in advance by the HACCP team, so that they can be taken without hesitation when monitoring indicates a deviation from the critical limit. 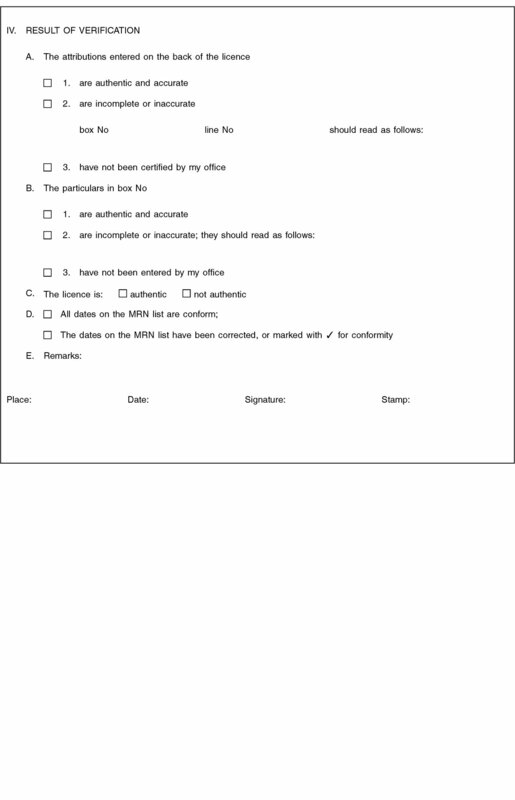 written record of measures taken indicating all relevant information (for example: date, time, type of action, actor and subsequent verification check). Monitoring may indicate that preventive measures (PRPs or their robustness) or the process and its CCPs shall have to be reviewed if corrective actions for the same procedure have to be taken repeatedly. The HACCP team should specify the methods and procedures to be used for determining if the HACCP-based procedures are working correctly. Methods for verification may include in particular random sampling and analysis, reinforced analysis or tests at selected critical points, intensified analysis of intermediate or end products, surveys on actual condition during storage, distribution and sale and on actual use of the product. The frequency of verification should be sufficient to confirm that HACCP-based procedures are working effectively. The frequency of verification shall depend on the characteristics of the business (output, number of employees, nature of the food handled), the monitoring frequency, the accuracies of the employees, the number of deviations detected over time and the hazards involved. Review of deviations and product dispositions; corrective actions taken with regard to the product. calibration of instruments used for monitoring. Verification should be carried out by someone other than the person who is responsible for performing the monitoring and corrective actions. Where certain verification activities cannot be performed in house, verification should be performed on behalf of the business by external experts or qualified third parties. At the start of a process or in case of a change, validation activities should be carried out and should gather evidence to confirm the efficacy of all elements of the HACCP plan. Such evidence includes scientific publications, in-house testing, predictive microbiology, … demonstrating that the critical limits set, will, if adhered to, result in the intended effect on the hazard (no growth, reduction, …). Additional guidance and examples of validation activities are in CAC/GL 69-2008.
receipt of any information on a new hazard associated with the product. Where necessary, such a review must result in the amendment of the procedures laid down. The changes should be fully incorporated into the documentation and record-keeping system in order to ensure that accurate up-to-date information is available. — Validation: evidence before the start (or change) of a process demonstrating that the considered control measures (PRPs, oPRPs or CCPs) are effective when correctly applied and will be protective of human health e.g. evidence that the targeted hazard does not grow to an unacceptable level at the proposed critical limit of storage temperature. — Monitoring: ongoing (real-time) collection of information at the step where the control measure is applied e.g. the continuous or intermittent monitoring of the storage temperature. — Verification: periodic activity to demonstrate that the desired outcome has indeed been reached e.g. sampling and testing of the food to evaluate the presence of the targeted hazard below the acceptable threshold by storage at a certain temperature. — Validation: before production activities: Experimental proof that the process used will heat milk to 72 °C for 15 seconds and will destroy Coxiella burnetti. Calibrated probes, microbiological tests and predictive microbiology can be used. — Monitoring: during production activities: System (time – temperature – pressure – volume throughput) which will enable the companies to see that the critical limit (72 °C for 15 s) is attained during process. — Verification: fixed frequency per year: Periodic microbiological tests on the end product, regular check of temperature of the pasteurizer with calibrated probes. — Verification: L. monocytogenes sampling plan in the end product. See also CAC/GL 69-2008 (4). Efficient and accurate record keeping is essential to the application of HACCP-based procedures. HACCP-based procedures should be documented in the HACCP-plan and continuously supplemented by records on findings. Documentation and record keeping should be appropriate to the nature and size of the operation and sufficient to assist the business to verify that the HACCP-based procedures are in place and being maintained. Documents and records should be kept for a sufficient period of time beyond the shelf life of the product for traceability purposes, for the regular revision of the procedures by the FBO and to allow the competent authority to audit the HACCP-based procedures. Expert developed HACCP guidance materials (e.g. sector-specific HACCP guides) may be utilized as part of the documentation, provided that those materials reflect the specific food operations of the business. Documents should be signed by a responsible reviewing official of the company. Supporting documents (generic guides, scientific evidence, …). A systematic, integrated approach can be taken by using worksheets for the development of the HACCP plan as provided in the Annex to CAC/RCP 1-1969, Diagram 3. Starting from the flow diagram, at each step of processing the potential hazards are described, relevant control measures (PRPs) listed, CCPs identified (if appropriate based on the hazards analysis) along with their critical limits, monitoring procedures, corrective actions and available records. Records should be kept for an appropriate period of time. That period should be long enough to ensure information to be available in case of an alert that can be traced back to the food in question. For certain foods the date of consumption is certain. For instance, in food catering, consumption takes place shortly after the time of production. For food for which the date of consumption is uncertain, records should be kept for a reasonably short period after the expiry date of the food. Records are an important tool for the competent authorities to allow verification of the proper functioning of the food businesses' FSMS. A simple record-keeping system can be effective and easily communicated to employees. It may be integrated into existing operations and may use existing paperwork, such as delivery invoices and checklists to record, for example, product temperatures (see also Annex III). Although EU legislation does not provide for critical limits at critical control points, microbiological criteria (5) can be used in validation and verification of HACCP-based procedures and other food hygiene control measures, as well as for the verification of the correct functioning of these control measures. For a particular operation or type of food, the guides to good practice can refer to these limits and the HACCP-based procedure can be formatted in such a way as to ensure that these limits are met. (1) Article 5 of the Regulation (EC) No 852/2004. (2) Article 3(14) of Regulation (EC) No 178/2002. (3) Sometimes other wording is used such as ‘Control Point (CP)’, as not all intermediate measures are linked to an operation, or ‘Points of Attention’ (PoA). To identify the extent of flexibility applicable to the HACCP principles. The purpose of flexibility within an FSMS is to seek for proportionality of control measures by adaptation to the nature and the size of the establishment. The application of such flexibility must remain risk-based and the best way to achieve it is via an integrated approach considering PRPs and initial steps in the HACCP-based procedures (hazard analysis). 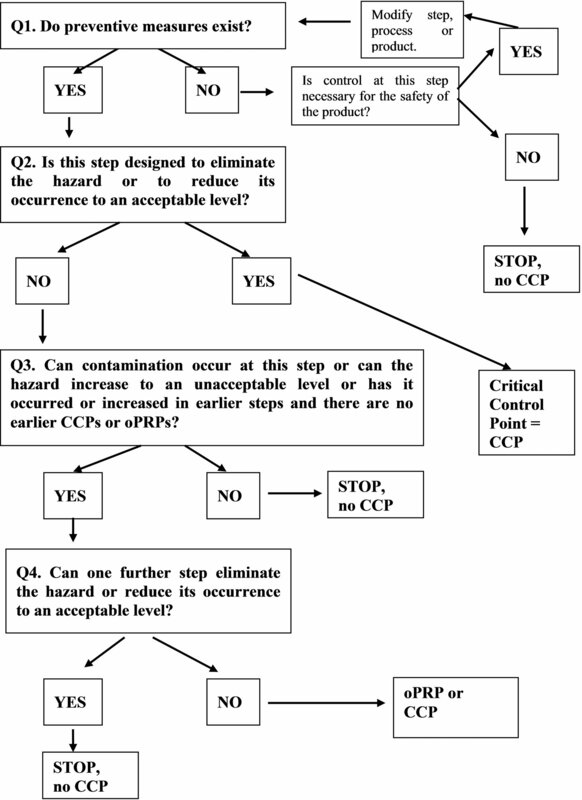 In particular, a hazard analysis approach which uses a (semi)quantitative risk evaluation system may result in a justification of controls only based on PRPs (no CCP identified) or in the identification of a very limited number of real CCPs to be monitored and further addressed within the HACCP-based procedures. Avoiding jargon that small FBOs may find difficult to understand, in particular in national or generic guides, can forestall any reluctance to develop an FSMS or parts thereof. Avoiding jargon can therefore be considered as a type of flexibility. Flexibility is not primarily intended to reduce CCPs and should not compromise food safety. 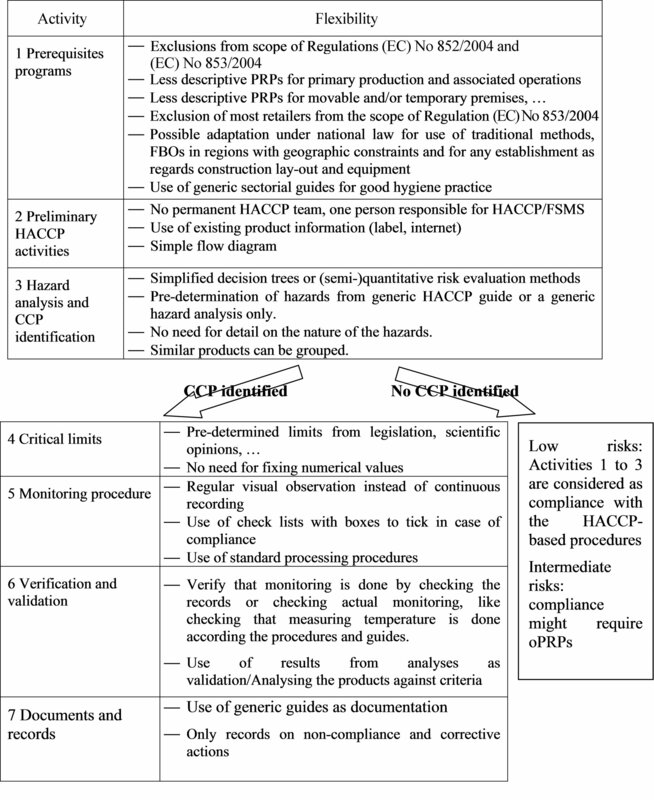 A summary of examples of flexibility regarding PRPs and HACCP-based procedures can be found in Appendix 5. PRPs apply to all FBOs. Most PRPs are laid down in Annexes I and II of Regulation (EC) No 852/2004 while additional PRPs for foods of animal origin are laid down in Regulation (EC) No 853/2004. Overall, the requirements in Annex I and II of Regulation (EC) No 852/2004 are described relatively generally since they need to be applied by all (and very different) sectors of food production. They therefore include automatically a high degree of flexibility how they should be complied with in practice. It should not be assumed that all PRPs as detailed in Annex I of this document apply to all establishments. A case by case assessment should be made to identify relevant PRPs for each establishment which should be implemented proportionate to the nature and size of the establishment. PRPs laid down in Annex I of Regulation (EC) No 852/2004, intended for primary production and associated activities, are more general than those in Annex II for other FBOs. Within Annex II of Regulation (EC) No 852/2004, simplified general and specific requirements for premises and rooms are laid down for movable and/or temporary premises, premises used primarily as a private dwelling-house but where foods are regularly prepared for placing on the market and vending machines (Chapter III of the Annex II). Exclusions from the scope (Article 1) of Regulation (EC) No 852/2004, for example the direct supply by the producer of small quantities of primary products to the final consumer or to a local retail establishment directly supplying the final consumer. Exclusions from the scope (Article 1) of Regulation (EC) No 853/2004, for example the direct supply by the producer of small quantities of meat from poultry and lagomorphs slaughtered on the farm to the final consumer or to local retail establishment directly supplying such meat to the final consumer as fresh meat. Exclusion of most retailers from Regulation (EC) No 853/2004 (Article 1(5)). Reception control of prepacked food at retail can be limited to checking if packages and temperatures during transport were ok, while major processing plants are supposed to supplement the reception control by regular sampling and testing. Cleaning and disinfection in a small butcher shop might be very close to good hygiene kitchen practices, while specialised external companies might be needed in large slaughterhouses. Control of water can be negligible if community potable water is used, but should be extended if a business's own source is used or recycling takes place. In any establishment as regards construction, layout and equipment. The use of generic sectorial guides on PRPs instead of description of PRPs developed by the business itself may help small enterprises to comply with these requirements. PRPs are mainly used to fulfil legal requirements so flexibility may be applied to the documents and records kept, but never to the objectives of the PRPs. Article 5 of Regulation (EC) No 852/2004 requires food business operators to put in place, implement and maintain a permanent procedure based on HACCP principles. The concept allows HACCP principles to be implemented with the required flexibility. The clear statement in Article 5(1) that the procedure must be based on the HACCP principles. The statement in Article 5(2)(g) that the need for establishing documentation and records must be commensurate to the nature and the size of the food business. Article 5(5) of the Regulation, which allows the adoption of arrangements to facilitate the implementation of the HACCP requirement by certain FBOs. These include the use of guides for the application of HACCP-based procedures. The Article 5(2)(g) of the Regulation (EC) No 852/2004 identifies two main criteria that render a FBO eligible for flexibility as regards HACCP-based procedures: its nature and its size. The hazard analysis plays a crucial role in assessing the risk. Although both criteria for flexibility might be relevant for certain FBOs (e.g. retailer), these criteria should be considered separately. The seven HACCP principles are a practical model for identifying and controlling significant hazards on a permanent basis. This implies that where that objective can be achieved by equivalent means that substitute in a simplified but effective way some of the seven principles, it must be considered that the obligation laid down in Article 5, paragraph 1 of Regulation (EC) No 852/2004 is fulfilled. Recital 15 of Regulation (EC) No 852/2004 clearly recognises that not in all cases CCPs might be identified. In such cases the application of procedures based on the HACCP principles is limited to the first principle i.e. a hazard analysis required to justify in a risk-based manner why no CCP needs to be considered and to demonstrate that PRPs are sufficient to control the hazards. When CCPs are identified in small enterprises, proportionality in administrative burden justifies additionally a simplified approach to comply with the other HACCP principles. Similar products can be grouped for the implementation of procedures based on the HACCP principles. Whenever there are needs connected with export or specifications of customers, all FBOs are free to use and fully implement HACCP-based procedures and get a certification on them, even if they would be eligible for a more flexible approach as described in this document. Generic HACCP guides have been developed addressing all principles to be complied with when CCPs are identified. The generic guides could suggest hazards and controls common to certain food businesses and assist the manager or the HACCP team through the process of producing food safety procedures or methods based on a generic hazard analysis, and appropriate record keeping. Food business operators should be aware however that other hazards may be present, e.g. those linked to the layout of their establishment or to the process that is applied, and that such hazards cannot be predicted in a generic HACCP guide. When generic HACCP guides are used, the FBO should check to ensure that all the activities in the business are covered in the guide. If not, then the FBO should develop its own procedures based on the HACCP principles for the additional activities. For slaughterhouses, establishments handling fishery products, dairy establishments etc. For businesses that apply standard food processing procedures such as the canning of food, the pasteurisation of liquid food, the freezing/quick-freezing of food etc. Retail shops, including butcher shops. The content of generic HACCP guides where flexibility can be considered should respect the recommendations in Section 4.4. In small enterprises, HACCP/FSMS activities might be carried out by one person who is (temporarily or regularly) assisted by external expertise. Where external expertise is used, it is essential that there is sufficient ownership of the FSMS by the food business itself. FBOs using this route should make sure that they know how the system works and how it is being applied to their business and that their staff is suitably trained to ensure effective implementation. When there is no processing or other manufacturing (e.g. cutting, wrapping), the description of the product can be limited to information available on the label (prepacked food) or other information on the food extracted from reliable websites. Unless specifically targeted to certain consumers (e.g. baby food), the intended use can be considered as consumption by the general public. The nature of the business will define the complexity of the required flow diagram, which might be very simple in certain businesses. 4.4.2. 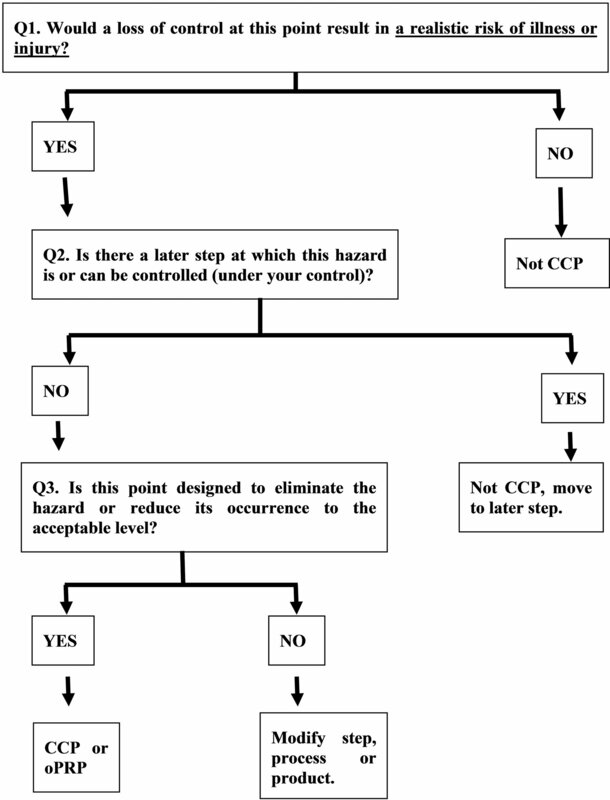 Hazard analysis and identification of CCPs. Several simplified methods have been described to carry out the hazards analysis and identify possible CCPs e.g. simplified decision trees and semi-quantitative risk evaluation methods. See examples in Appendices 2 and 3. In certain cases, due to the nature of the food business and the food that is handled by it, a (generic) hazard analysis may demonstrate that no very significant hazard has been identified and therefore there is no need for CCPs. In this case all food hazards can be controlled by the implementation of the PRPs only or in combination with the application of certain oPRPs. It must however be stressed that flexibility on the hazard analysis is not directly linked to the size of the establishment and is not appropriate even when the business is small e.g. allergen controls in products declared to be allergen free. For certain categories of food businesses with very identical, standardised and limited handling of the food (e.g. retail shops), it may be possible to pre-determine hazards that need to be controlled. Guidance on such hazards and on the control thereof can be addressed in a generic HACCP guide or a generic hazard analysis only. In certain cases, due to the nature of the food business and the food that is handled by it, the hazard analysis may demonstrate that significant hazards do not exist and there are no control measures, which could be categorized as CCPs. In these cases oPRPs are the control measures. In small businesses it may suffice that the hazard analysis in the HACCP plan describes in a practical and simple way the methods to control hazards without necessarily entering into detail on the nature of the hazards. Such analysis should nevertheless cover all significant hazards in a business and should clearly define procedures to control these hazards and the corrective action to be taken in case of problems. The requirement to establish a critical limit at a CCP does not always imply that a numerical value must be fixed. This is in particular the case where monitoring procedures are based on visual observation e.g. The change of physical properties of food during processing (e.g. cooking of food). Monitoring is not only achieved by measuring. Monitoring may in many cases be a simple procedure, e.g. A visual observation to verify whether a food preparation submitted to a particular heat treatment has the correct physical properties reflecting the level of heat treatment (e.g. boiling or to making sure food is steaming hot all the way through). Monitoring should be as frequent as necessary to ensure that critical limits and targets are permanently met. It should confirm that the critical limit or target is not exceeded. The type of CCP determines the frequency of monitoring. Monitoring of a CCP can in some cases occur intermittently, e.g. in a case of reduced frequency of monitoring after prolonged period of good results. Certain foods may sometimes be processed in a standard way using a standard calibrated equipment, e.g. certain cooking operations, roasting chicken etc. Such equipment ensures that the correct time/temperature combination is respected as a standard operation. The cooking temperature of the product then needs not to be systematically measured if it is ensured that the equipment is functioning properly, that the required time/temperature combination is respected and that the necessary controls for that purpose are carried out (and corrective action taken where necessary). In restaurants, food is prepared in accordance with well-established culinary procedures. This implies that measurements (e.g. food temperature measurements) need not be carried out systematically if the established procedures are followed. Verification may in many cases be a simple procedure by which it is possible to check that monitoring like the one described in Section 4.4.4 is done in a proper way in order to achieve a required food safety level. physical audit or check on the monitoring records including the checking of corrective actions whenever a non-compliance or exception reporting has been recorded. Generic HACCP guides should include examples of necessary verification procedures, and when standard processes are concerned, there should be a validation of the considered control measures on the targeted hazards as well. The validation of the HACCP plan and activities of the FBO can focus on the sampling and testing of the food to evaluate the presence of the targeted hazards. This section refers to HACCP related documentation only and not to other documentation on issues such as stock management, traceability etc. The examples referred to hereunder must be seen in the light of Article 5, paragraph 2(g) of Regulation (EC) No 852/2004 where it is stated that under the HACCP-based procedures, documents and records must be commensurate to the nature and the size of the food business. As a general rule, the need for HACCP-related record keeping should be well-balanced and can be limited to what is essential with regard to food safety. It is important to consider that recording is necessary but not the goal in itself. Records on measurements and analysis carried out. Where generic HACCP guides exist, documentation on hazard analysis, CCP determination, critical limit determination, possible modification of the FSMS and validation activities can be substituted for individual documentation on HACCP-based procedures. Such guides could also clearly indicate where there is a need for records and the period of time during which records must be kept. In particular in the case of visual monitoring procedures, it may be considered to limit the need for establishing a record only to measurements of non-compliance (e.g. failure of equipment to maintain the correct temperature) that are detected. Carrying out monitoring effectively is in general more important than recording it. Therefore, flexibility on the recording could be more easily accepted than flexibility concerning the monitoring itself (e.g. its frequency). In particular for small businesses keeping the right temperature is far more important than actually recording it. The records of non-compliance should include the corrective action that has been taken. The use of a diary or a checklist might be a suitable way of record keeping in such cases. FBOs can simply tick boxes to indicate how they act or provide more detailed information by writing in text boxes how they comply with a control point. Daily record-keeping is based on confirming opening and closing checks with a tick and a signature to confirm that safe methods have been followed. When a box ticking approach is used, only problems or changes to procedures are recorded in more detailed additional writing (i.e. exception reporting). (Generic) models regarding auto-control documents should be provided by stakeholders' organisations or competent authorities. These should be easy to use, understandable and simple to implement. A x-weekly review of methods only requires completing a check list of activities and possible impact on safe methods. Critical control point (CCP) : A step at which control can be applied and is essential to prevent or eliminate a food safety hazard or reduce it to an acceptable level (1). Most typical CCPs to control microbiological hazards are temperature requirements e.g. the temperature for storage or transport, the time/temperature conditions to reduce or eliminate a hazard (e.g. pasteurisation). Other CCPs may be checking that packages are clean and non-damaged, checking for physical hazards by sieving or metal detection or checking time/temperature of frying oil to avoid chemical process contaminants. Critical limit : A criterion which separates acceptability from unacceptability. In the CCP examples above, they refer respectively to the maximum temperature (storage and transport), the minimum temperature (hazard reduction/elimination) and the presence of contamination or damages. 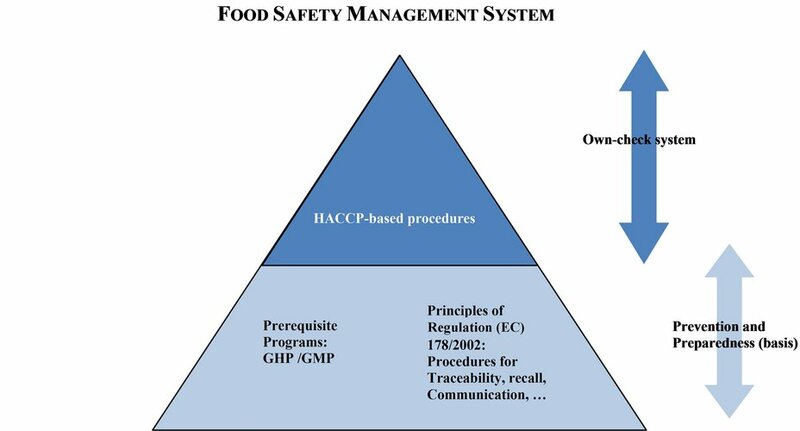 Food Safety Management (or control) system (FSMS) : The combination of PRPs as preventive control measures; traceability, recall and communication as preparedness and HACCP plan defining CCPs and/or oPRPs as control measures linked to the production process. See Figure 1. The FSMS is also the combination of control measures and assurance activities. The latter aims at providing evidence that control measures are working properly such as validation and verification, documentation and record keeping. GHP (Good Hygiene Practices), GMP (Good Manufacturing Practices) : Package of preventive practices and conditions to ensure the safety of the food produced. GHP underline more the need for hygiene, GMP stress correct work methodologies. Most PRPs (all those mentioned in Annex I) are GHP or GMP. Sometimes no differentiation is made between GHP and GMP, calling all preventive measures ‘GMP’. Hazard : a biological (e.g. Salmonella), chemical (e.g. dioxin, allergens) or physical (e.g. hard, sharp foreign bodies as pieces of glass, metal) agent in, or condition of food with the potential to cause an adverse health effect (2). HACCP plan : A document, possibly electronic, fully describing the HACCP-based procedures. The initial HACCP plan shall be updated if there are changes in the production and must be supplemented with records from outcomes of monitoring and verification, and from corrective actions taken. Monitor : The act of conducting in real time a planned sequence of observations or measurements of control parameters to assess whether a CCP is under control (3). As regards the examples, this is the regular (or continuous if automatic) measuring of the temperatures and the observation of contamination and damages. Prerequisite program(s) (PRP(s) : Preventive practices and conditions needed prior to and during the implementation of HACCP and which are essential for food safety. The PRPs needed depend on the segment of the food chain in which the sector operates and the type of sector. Examples of equivalent terms are Good Agriculture practice (GAP), Good Veterinarian Practice (GVP), Good Manufacturing Practice (GMP), Good Hygiene Practice (GHP), Good Production Practice (GPP), Good Distribution Practice (GDP) and Good Trading Practice (GTP). Sometimes, procedures to ensure traceability of food and recall in case of non-compliance are considered part of the PRPs. In Codex Alimentarius standards PRPs are referred to as ‘Codes of Good Practice’. Risk : means a function of the probability of an adverse health effect and the severity of that effect, consequential to a hazard (4). Validation : Obtaining evidence that a control measure or combination of control measures, if properly implemented, is capable of controlling the hazard to a specified outcome. Revalidation may be required in case of changes. Detailed examples can be found in CAC/GL 69-2008. See also examples in the Codex document CAC/GL 69-2008. (1) CAC/RCP 1-1969, Rev. 2003. (3) CAC/RCP 1-1969, Rev. 2003. (4) Article 3(9) of the Regulation (EC) No 178/2002. (5) Adapted from CAC/RCP 1-1969, Rev. 2003. (Based on: FAO/WHO ‘Risk characterisation of microbiological hazards in food (1)’ and on ‘Quality management systems in the food industry (2)’). The risk level is defined by the severity or the effect of the hazard in relation to the probability in which the hazard can occur in the end product if the considered (specific) control measures are not present or are failing – taking into consideration the next steps in the process where an elimination or reduction to an acceptable level is possible, and taking into consideration the already correctly implemented PRPs. P = Probability= the probability that the hazard is occurring in the end product, if the considered specific control measures are not present or are failing – taking into consideration the next steps in the process where an elimination or reduction to an acceptable level is possible and taking into consideration the already correctly implemented PRPs. E = Effect= the effect or the severity of the hazard related to human health. It is a very limited and/or local contamination. Failing or lacking of the specific control measure does not result in the systematic presence of the hazard in the end product but the hazard can be present in a certain percentage of the end product in the associated batch. Failure or absence of the specific control measure will result in a systematic error, there is a high probability that the hazard is present in all end products of the associated batch. The hazard can never reach a dangerous concentration (e.g. colorants, S. aureus in a frozen food where multiplication to higher counts is highly unlikely or cannot happen because of storage conditions and cooking). A temporary but clear effect on health (e.g. small pieces). The hazard has a long-term effect; the maximal dose is not known (e.g. dioxins, residues of pesticides, mycotoxins, …). Risk levels 1 & 2: no specific actions, control covered by PRPs. Risk levels 3 & 4: possible oPRPs. Additional question to be answered by the HACCP team: Is the general control measure(s) as described in the Pre Requisite Program’s (PRPs) enough as monitoring for the identified risk? Risk levels 5, 6 and 7: CCP or if no measurable critical limit exists this may be an oPRP (e.g. controlling an allergen). CCPs are the points in a production process where a continuous/batch wise control via a specific control measure is required to eliminate or to reduce the hazard to an acceptable level. The monitoring must be demonstrable and a record must be kept. In the case of a breach of the critical limit, a corrective action towards product and process is necessary. Risk levels 1 to 5 instead of 1 to 7 by using 3 instead of 4 subdivisions of the probability and effect (subdivisions 3 and 4 are merged). oPRPs are not included when identifying ‘intermediate’ risk, but only differentiation is made between hazards that can be controlled by PRPs only and those requiring a CCP. Measures related to the environment and/or product (or combination of measures) to prevent contamination, or to prevent, eliminate or reduce hazards to an acceptable limit in the end product. These measures are implemented after the implementation of PRPs. ✓ Hazard or hazard analysis. Based on the hazard analysis taking PRPs into account. Not necessarily carried out by FBO. (1) For this table corrective action means action to eliminate the cause of a detected non-compliance or other undesirable situation, while correction means action to eliminate a detected non-compliance. Licences and extracts thereof shall be issued by the licence issuing authorities of the Member States. They shall be valid for imports and exports to be effected in any Member State, except in special cases provided for in the Union rules. In accordance with Article 2(2) of Regulation (EEC, Euratom) No 1182/71 of the Council (1), Saturdays, Sundays and public holidays are not working days for the purpose of lodging applications for licences or for their issue. Each licence shall be completed in one language only. Applications, licences and extracts must not contain any erasures or over-writing. If an error is made when completing the form, a fresh application or licence must be made out. Where an application form contains a minor error of no factual significance, the licence is to be issued with the minor error corrected. Financial amounts shall be specified in figures in euro; however, Member States not belonging to the euro zone may indicate the financial amounts in their national currency. ‘per head’ for live animals, as appropriate. Dates are entered as a six-digit number, with two digits in each sub-division: the first two digits represent the day (from 01 to 31) in the first sub-division, the next two digits represent the month (from 01 to 12) in the second sub-division and the last two digits represent the year (01, etc.) in the last sub-division. Applicants need to complete only Sections 4, 7, 8, 11, 14, 15, 16, 17, 18 and 20 of the form for the application for a licence. However, Member States may require applicants to complete Section 1 and, as appropriate, Section 5. 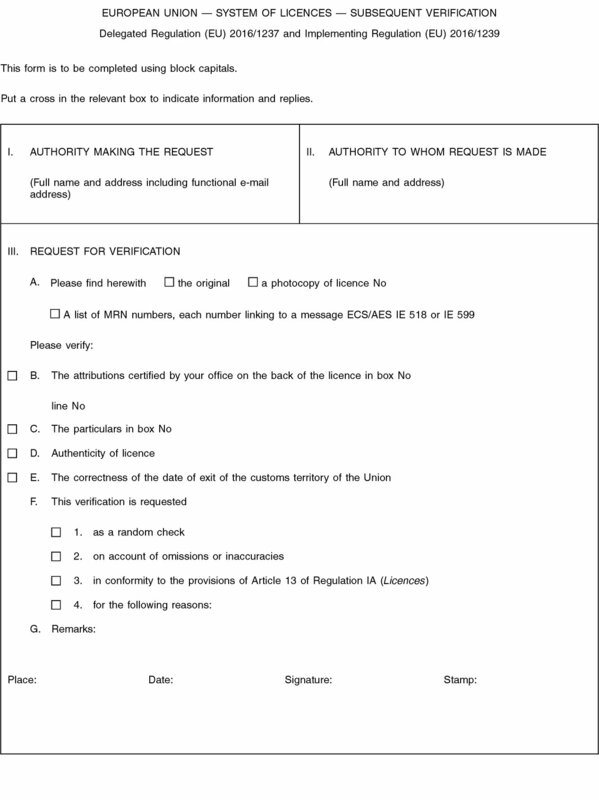 If there is insufficient space for all the details required by Union regulations in Sections 7 and 8 of the form used for imports and Section 7 of the form used for exports, all the details shall be entered in Section 20, preceded by an asterisk corresponding to one placed in Section 7 or 8, as appropriate. If there is insufficient space for all the details in Section 20, they shall be entered in Section 15, preceded by an asterisk corresponding to one placed in Section 7 or 8, as appropriate. In Sections 7 and 8 of the form, an ‘X’ must be entered in the box before ‘yes’ or ‘no’, as appropriate. in Section 11, the amount of the corresponding security. Section 3 of the licences must also be blocked out, except in the case of extracts. In cases referred to in Article 6(4) of Delegated Regulation (EU) 2016/1237, one of the entries listed in Annex I, Part A, shall be made by the issuing agency in section 6 of the licence. In cases referred to in Article 15(1) of Implementing Regulation (EU) 2016/1239, one of the entries listed in Annex I, Part B, shall be entered in Section 22 (export licence) or Section 24 (import licence) of replacement licences or extracts. In cases referred to in Article 5(5), 1st subpar of Delegated Regulation (EU) 2016/1237, the figure ‘0’ (zero) shall be shown in Section 19 of the licence. In cases referred to in Article of 5(5), 2nd subpar of Delegated Regulation (EU) 2016/1237 and save where the regulations in particular sectors require special wording, Section 24 (import licence) of licences shall indicate one of the entries listed in Annex I, Part C.
Variety of hemp in the case of seeds for sowing must be indicated. True hemp, raw or retted, falling within CN code 5302 10 00 fulfils the conditions laid down in Article 32(6) and 35(3) of Regulation (EU) No 1307/2013. Applications for import licences and import licences for alcohol of agricultural origin shall be marked in section 8 with the name of the country of origin. The box ‘compulsory: yes’ must be ticked. At the request of the applicant, the administration which issued the licence may replace the country of origin, once only, by another country. The Member States may decide that the import price (CIF) of the alcohol must be indicated in section 20. The country of origin shall be entered in section 8 of licence applications and of licences and the word ‘yes’ shall be marked with a cross. The import licence shall be valid only for imports originating in the country indicated. ‘Exporting country’ means the non-member country from which the product is despatched to the Union. The exporting country or group of countries must be specified where this is required by Union rules. Where the Union rules require compulsory provenance, an ‘X’ must be placed in the box before the word ‘yes’ and the provenance of the products must correspond to that specified on the licence. The licence shall not be valid otherwise. In other cases, indication of the exporting country is optional. In those cases, an ‘X’ must be entered in the box before the word ‘no’. Indication of the exporting country may nevertheless be useful for applying Article 16 of Implementing Regulation (EU) 2016/1239, which relates to Sections of force majeure. The country of origin shall be established in accordance with the relevant Union rules. The remarks applying to Section 7 shall apply by analogy. Products are to be described by their usual product names (e.g. sugar), and not by their trademark. for only some of the products falling within one CN code. If there is insufficient space for entering more than one CN code in Section 16, all the CN codes shall be entered in Section 15, preceded by an asterisk corresponding to one placed in Section 16. The description may be simplified provided it includes the details necessary to establish the classification of the product under the CN code specified in Section 16.
the codes should be specified in the manner laid down by the Union rules in question. This should be completed in accordance with the Union rules on the accepted tolerance for the product in question. The figure zero ‘0’ is to be entered in Section 19 of licences where a plus tolerance does not apply. This should be completed in accordance with the special Union rules on each sector of the common organisation of the market. To be completed in accordance with the special Union rules on each product sector. The signature in paper licences must be handwritten. Indication of the country or group of countries of destination is required where provided for under Union rules. Where Union rules specify an obligatory destination, an ‘X’ must be entered in the box before the word ‘yes’ and the product must be exported to the destination indicated on the licence. In all other cases, indication of the country of destination is optional. In those cases, an ‘X’ must be entered in the box before the word ‘no’. Indication of the country of destination may nevertheless be useful for applying Article 16 of Implementing Regulation (EU) 2016/1239, which relates to cases of force majeure. These should be completed as for imports. Give all information as to quantities and amounts in both words and figures. 5.1. Extracts of licences are drawn up by the licence issuing authorities of the Member State which issued the licence. The number to be shown in Section 3 is that shown in Section 25 of the original import licence or in Section 23 of the original export licence. For imports, all information in Sections 4, 6 to 8, 10, 12 to 16 and 19 to 24 of the licence must be reproduced in the extract or extracts. For exports, all information in Sections 4, 6, 7, 10, 12 to 16 and 19 to 22 of the licence must be reproduced in the extract or extracts. Attributions should be done legibly, printed, typewritten or in ink. Attributions must not contain any erasures or over-writing. Any errors are to be corrected by crossing out the wrong entry and writing in the correct one. All corrections carried out in this way must be endorsed by the initiator and certified by the stamp of the authority responsible for the attribution. Where a corrected licence or extract from a licence is issued, the issuing body must also reproduce the attributions shown on the original document. For the purpose of the first attribution, the net quantity to be entered in Part I is that shown in Sections 17 and 18, increased by the permitted tolerance, using the same units. In the case of attribution relating to the issue of an extract, the quantity to be entered is that for which the extract is issued, plus any tolerance. The number of the customs declaration, or where applicable the number of the extract, is noted and the date of acceptance of the customs declaration which is the date of attribution. The signature must be handwritten. The document attached in Annex II shall be used where an authority of another Member State is requested to carry out the verification by way of a random check or for any other reason. (1) OJ L 124, 8.6.1971, p. 1. (2) OJ L 206, 30.7.2016, p. 1. (3) OJ L 206, 30.7.2016, p. 44. (4) OJ L 347, 20.12.2013, p. 608. This form is to be completed using block capitals. Put a cross in the relevant box to indicate information and replies. Border crossing points are based on the Agreement between the Government of the Republic of Finland and the Government of the Russian Federation on crossing points at the Finnish-Russian state frontier (Helsinki, 11 March 1994). Those marked with an asterisk (*) are in limited use only and open only to citizens of Finland and Russia under the bilateral agreement. They are kept open for traffic as the need arises. Traffic consists almost exclusively of timber freight. The majority of crossing points are closed most of the time. The border crossing points concerned form the subject of negotiations between the Finnish and Russian authorities. Those marked with two asterisks (**) are in limited use only for a temporary period of time and open only to citizens of the Russian Federation, the Republic of Belarus and the Republic of Finland and to their family members travelling with them or joining them, irrespective of their nationality. This temporary restriction is in force for 180 days with effect from 10 April 2016. OJ C 316, 28.12.2007, p. 1. OJ C 134, 31.5.2008, p. 16. OJ C 177, 12.7.2008, p. 9. OJ C 200, 6.8.2008, p. 10. OJ C 331, 31.12.2008, p. 13. OJ C 3, 8.1.2009, p. 10. OJ C 37, 14.2.2009, p. 10. OJ C 64, 19.3.2009, p. 20. OJ C 99, 30.4.2009, p. 7. OJ C 229, 23.9.2009, p. 28. OJ C 263, 5.11.2009, p. 22. OJ C 298, 8.12.2009, p. 17. OJ C 74, 24.3.2010, p. 13. OJ C 326, 3.12.2010, p. 17. OJ C 355, 29.12.2010, p. 34. OJ C 22, 22.1.2011, p. 22. OJ C 37, 5.2.2011, p. 12. OJ C 149, 20.5.2011, p. 8. OJ C 190, 30.6.2011, p. 17. OJ C 203, 9.7.2011, p. 14. OJ C 210, 16.7.2011, p. 30. OJ C 271, 14.9.2011, p. 18. OJ C 356, 6.12.2011, p. 12. OJ C 111, 18.4.2012, p. 3. OJ C 183, 23.6.2012, p. 7. OJ C 313, 17.10.2012, p. 11. OJ C 394, 20.12.2012, p. 22. OJ C 51, 22.2.2013, p. 9. OJ C 167, 13.6.2013, p. 9. OJ C 242, 23.8.2013, p. 2. OJ C 275, 24.9.2013, p. 7. OJ C 314, 29.10.2013, p. 5. OJ C 324, 9.11.2013, p. 6. OJ C 57, 28.2.2014, p. 4. OJ C 167, 4.6.2014, p. 9. OJ C 244, 26.7.2014, p. 22. OJ C 332, 24.9.2014, p. 12. OJ C 420, 22.11.2014, p. 9. OJ C 72, 28.2.2015, p. 17. OJ C 126, 18.4.2015, p. 10. OJ C 229, 14.7.2015, p. 5. OJ C 341, 16.10.2015, p. 19. OJ C 84, 4.3.2016, p. 2. OJ C 236, 30.6.2016, p. 6. On 22 July 2016, the Commission received notification of a proposed concentration pursuant to Article 4 of Council Regulation (EC) No 139/2004 (1) by which the undertaking Randstad Holding n.v. (‘Randstad’, Netherlands), through its wholly-owned subsidiary Randstad France SASU, acquires within the meaning of Article 3(1)(b) of the Merger Regulation control of the whole of the undertaking Ausy SA (‘Ausy’, France) by way of a voluntary cash tender offer. — for Ausy: provision of consultancy and engineering services with a focus on advanced technologies. On preliminary examination, the Commission finds that the notified transaction could fall within the scope of the Merger Regulation. However, the final decision on this point is reserved. Pursuant to the Commission Notice on a simplified procedure for treatment of certain concentrations under Council Regulation (EC) No 139/2004 (2) it should be noted that this case is a candidate for treatment under the procedure set out in this Notice. On 20 July 2016, the European Commission received notification of a proposed concentration pursuant to Article 4 of Council Regulation (EC) No 139/2004 (1) by which the undertakings Ardian (hereinafter ‘Ardian’, France) and Predica Prévoyance Dialogue du Crédit Agricole (hereinafter ‘Predica’, France), acquire within the meaning of Article 3(1)(b) of the Merger Regulation joint control of the undertaking Infra Foch Topco SAS (hereinafter ‘Infra Foch Topco’, France) by way of purchase of shares. — Infra Foch Topco: owner of Indigo Infra and Infra Park Digital, which operate parking facilities and provide parking spaces and related services. The Commission invites interested third parties to submit to it their observations on the proposed concentration. (1) OJ L 24, 29.1.2004, p. 1 (‘the Merger Regulation’). On 22 July 2016, the Commission received a notification of a proposed concentration pursuant to Article 4 of Council Regulation (EC) No 139/2004 (1) by which the undertakings Onex Corporation (‘Onex’, Canada), and Pain & Partners LLC (‘Paine’, USA) acquire within the meaning of Article 3(1)(b) of the Merger Regulation whole control by way of purchase of shares in the joint venture WireCo Worldgroup (Cayman) Inc., (‘WireCo’, USA). For WireCo, global manufacturer of highly engineered and general purpose wires, steel wire and synthetic ropes (and related hardware products), electromechanical cable and highly engineered cable structures, based in the USA. On preliminary examination, the Commission finds that the notified transaction could fall within the scope of the Merger Regulation. However, the final decision on this point is reserved. Pursuant to the Commission Notice on a simplified procedure for treatment of certain concentrations under the Council Regulation (EC) No 139/2004 (2) it should be noted that this case is a candidate for treatment under the procedure set out in this Notice.